Dylix’s EXP Series Pressure Transmitter is designed for use in industrial locations. The EXP’s entirely welded Stainless Steel sensor construction is hermetically sealed, making it ideal for the worst of pressure applications. The EXP is manufactured for reliability in aggressive environments where other transmitters fail. Dylix’s automated weld procedures, extreme environmental burn in, and the mounting of our electronics to withstand the most severe shock and vibration applications are all geared toward safety and reliability. Additional EMI/RFI filtering with surge protection add to the performance of the EXP. For corrosive environments where 316L or 17-4 SST are not best suited, the EXP is available in Hastelloy C276 wetted parts. Each EXP transmitter is shipped with a NIST traceable calibration certificate. 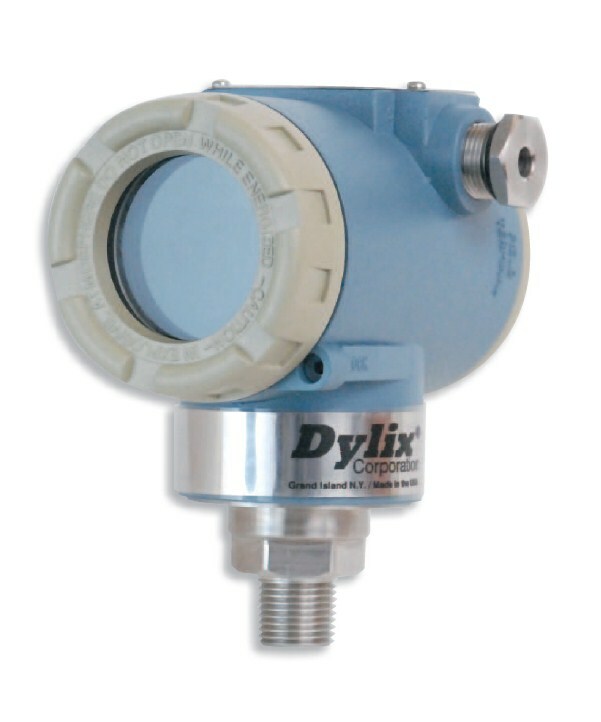 Dylix’s EXP Series Pressure Transmitters feature a process type housing for conduit electrical connections and local display and push button adjustment. Designed to configure to the broadest possible range of pressure applications. Coupled with Dylix’s all welded stainless steel pressure ports, the EXP series is an excellent choice for every application where a rugged long life sensor is required.